Combat Commander: Battle Pack #5 Fall of the West is the fifth themed collection of scenarios for use with the Combat Commander series of games. 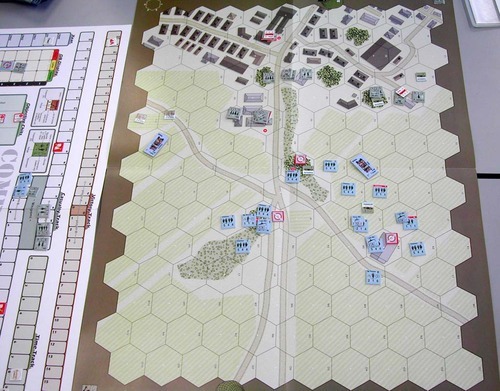 The theme of this Battle Pack shifts to actions in France, Belgium and Norway from late April to June 1940, looking at critical moments in this brief span where the forces of both sides tested each other sorely. 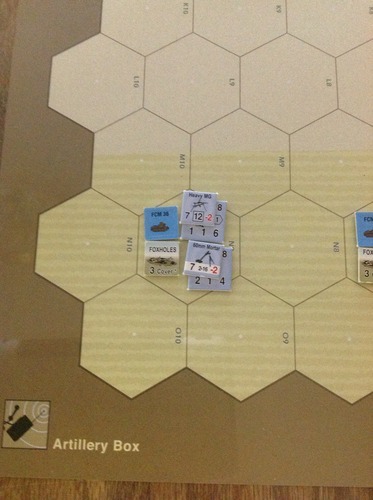 To reflect this, the scenario special rules are designed to make the Allied Minor hand exhibit flexibility (which was demonstrated whenever higher echelon interference was reduced). 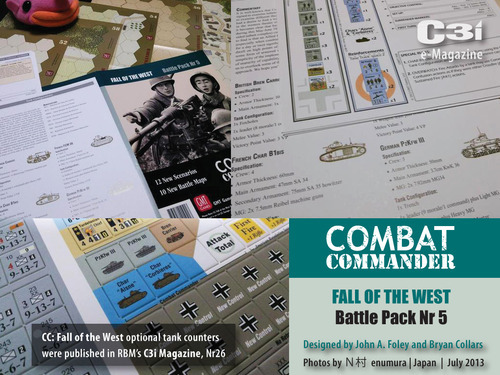 CC The Fall of the West features twelve new scenarios printed on cardstock as well as ten new maps. Special experimental AFV Rules are featured in four of the scenarios where tanks are facing infantry in settings that reveal how the doctrines, armaments and countermeasures were still early in development. While unfettered races by companies of tanks across the countryside remain a landmark image of the blitzkrieg, we found many instances of a more tentative level of engagement, suitable for our attempt at capturing an unusual element in the CC scope: TANKS! 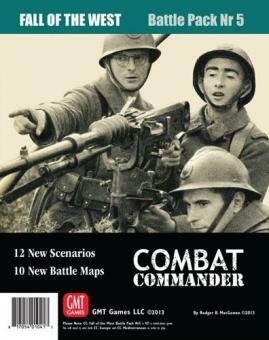 NOTE: CC Fall of the West is not a complete game and requires ownership of Combat Commander: Europe and Combat Commander: Mediterranean to play.